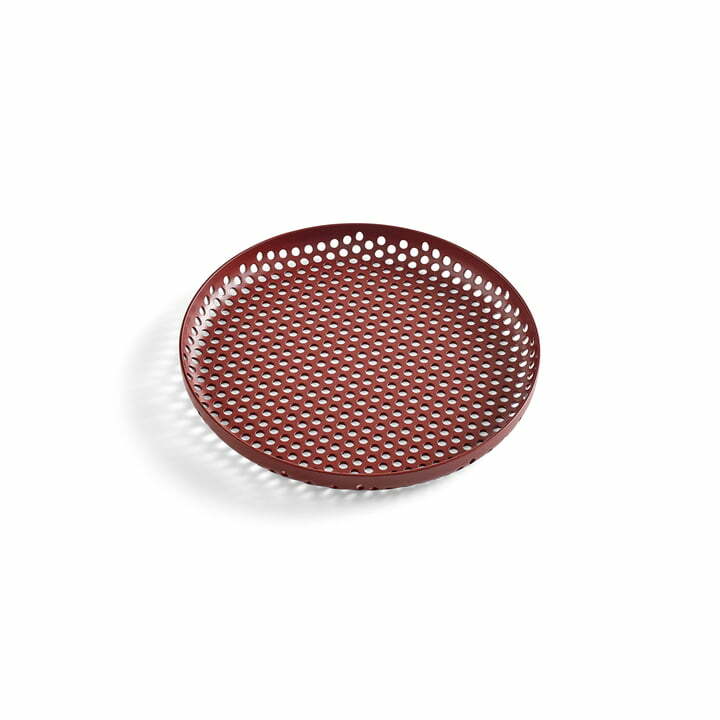 The perforated tray by Hay was designed by Lex Pott and has a beautiful, textured effect created by countless, tiny, circular holes. The tray comes into its own on the dining table or on the kitchen counter and is a real eye-catcher on the coffee table next to the sofa. 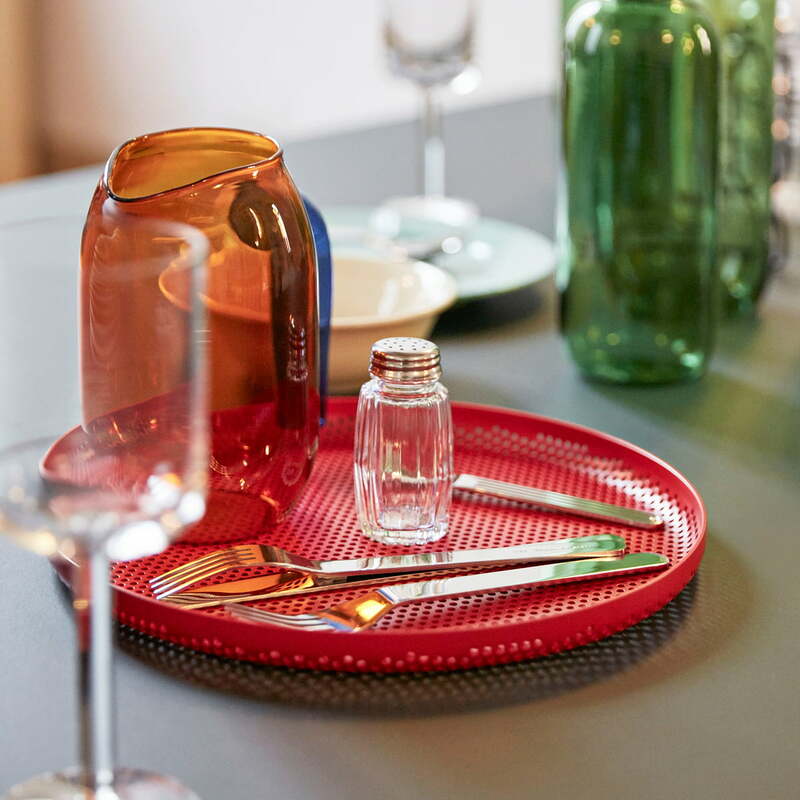 Ideal to transport dishes, food and drinks, the tray can also be used as a decorative element on the table. 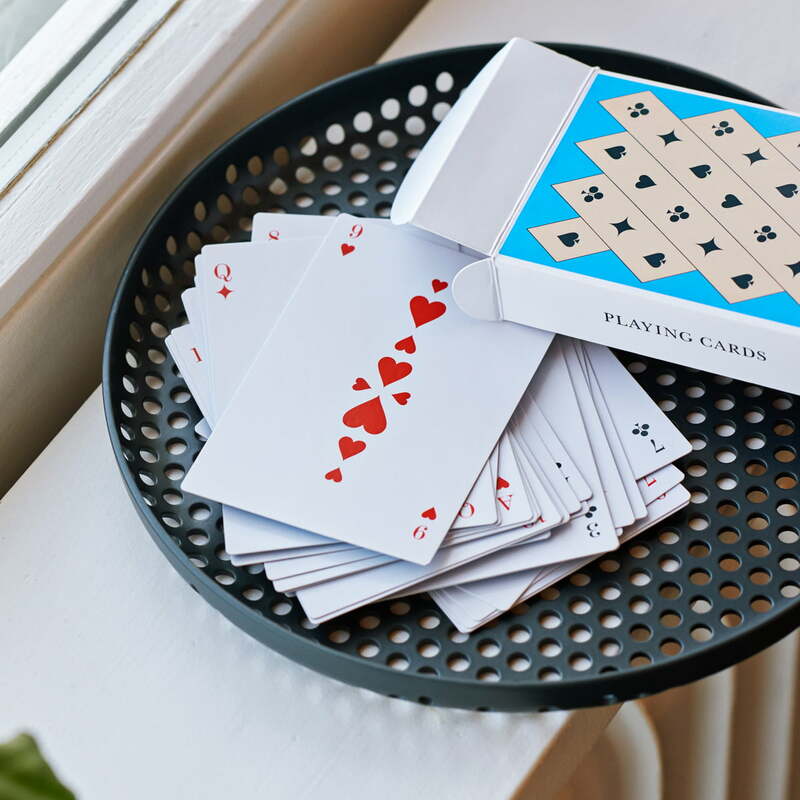 The round tray has curved, slightly raised edges that ensure additional stability when carrying it as well as preventing items from falling out. Made from aluminium and available in various sizes and colours, the tray adapts to every need and room situation. Isolated product image: The perforated tray by Hay was designed by Lex Pott and has a beautiful, textured effect created by countless, tiny, circular holes. Group product image of the perforated trays by Lex Pott for Hay: Made from aluminium and available in various sizes and colours, the tray adapts to every need and room situation. Lifestyle product image: The tray comes into its own on the dining table or on the kitchen counter and is a real eye-catcher on the coffee table next to the sofa. 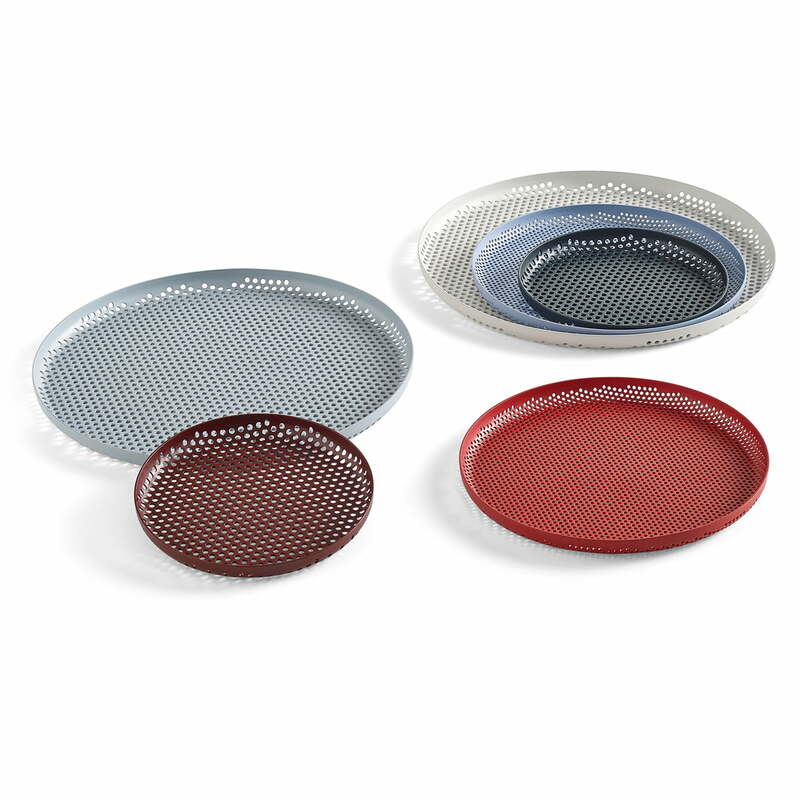 The round tray has curved, slightly raised edges that ensuring additional stability when carrying it in addition to preventing preventing items from falling out. Lifestyle product image of the perforated tray by Lex Pott for Hay. 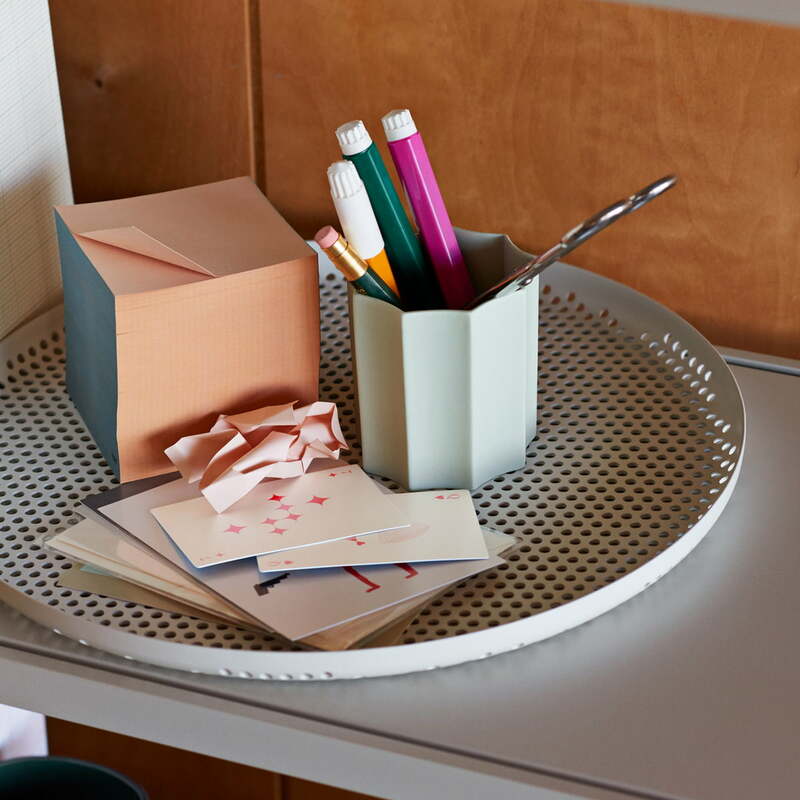 On the desk, the tray becomes a decorative element in which to kept various stationery.